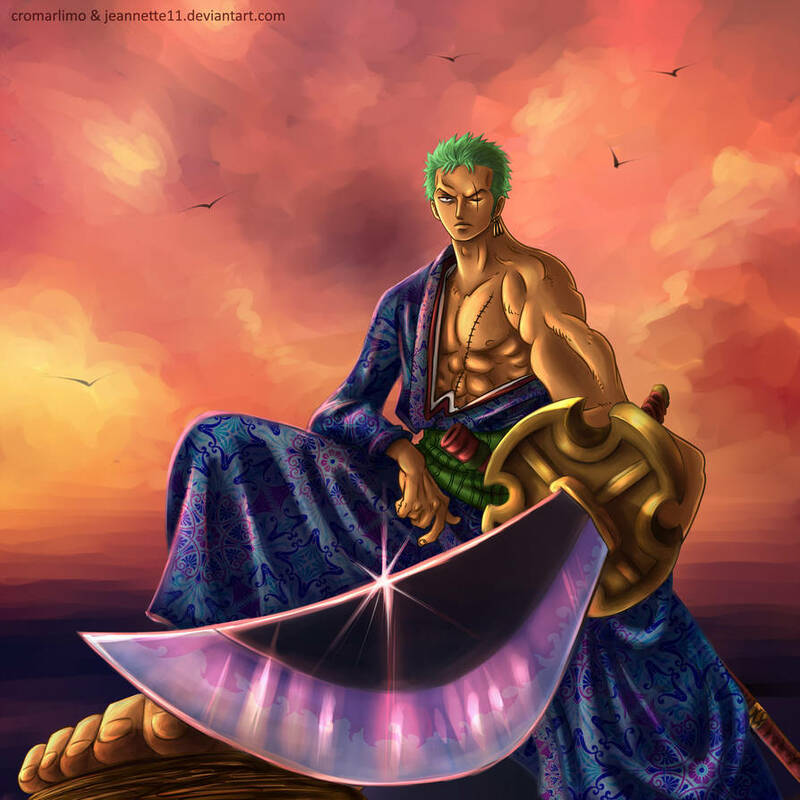 The second in command, the vice-captain of the straw hats and the swordsman of the crew the "Pirate Hunter" Roronoa Zoro. A real badass it all it's ways, but with one rather awkward flaw, being terrible with directions and getting lost embarrassingly easy. 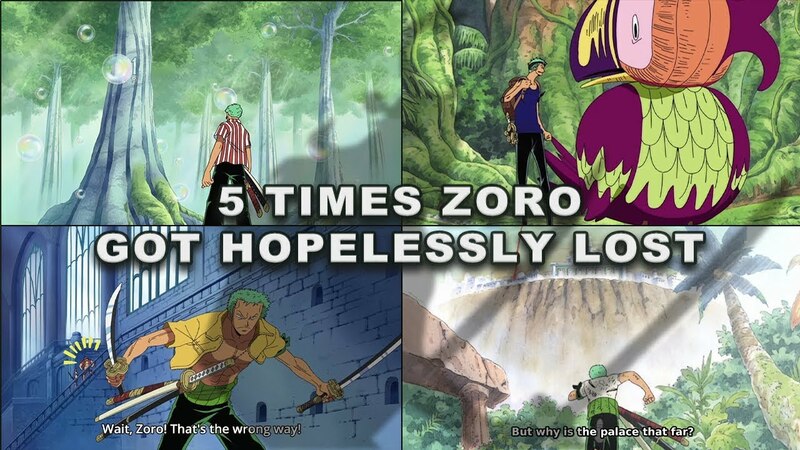 In this blog, I'm going to showcase five times Zoro got hopelessly lost. All trees in Sabaody Archipelago have numbers, and all Zoro had to do was remember it to know where the Thousand Sunny was (which was #41). 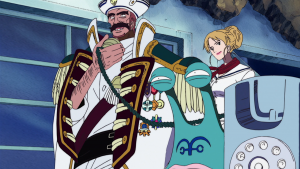 However, a bubble got in the way, and instead of seeing number 41 Zoro saw the number 1. 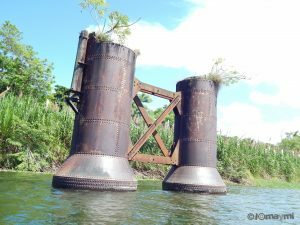 So with all his confidence and thinking, he would "never get lost on these islands," he got hopelessly lost. Later on, he even got directions from some thugs telling exactly where to go, and somehow he goes from tree #2 to tree #13. And then he blames the thugs for giving him the wrong directions. 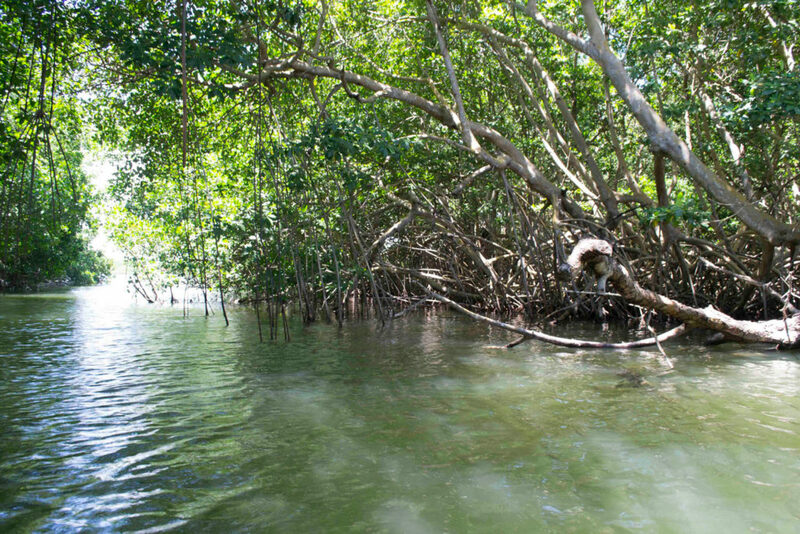 Come on Zoro you are lost, and you are not imagining trees appearing from anywhere. Usopp throws a smoke signal (with a clear red color seen miles away) to let all the Straw Hats know his location. 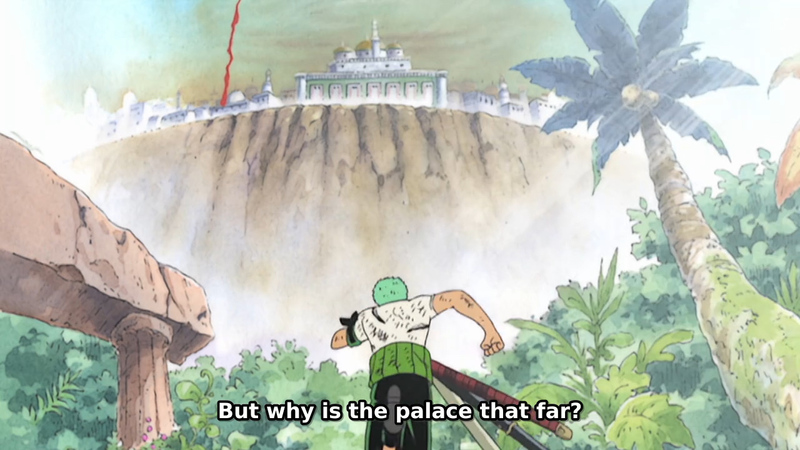 Somehow Zoro ends ups outside the palace area in a jungle ridiculously far away from the signal. 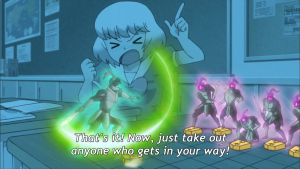 And to makes things worst a group of Marines tell him exactly where to go (and make fun of him in the process) and somehow Zoro confuses "North" with "Up" and miraculously end up at the Clock Tower. 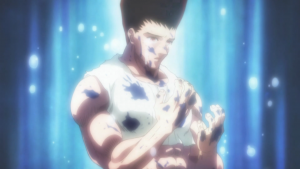 At least Zoro you got to the right place this time. Zoro makes a spectacular entrance at Enies Lobby courthouse and showcases his badassery. Now all he needed to do was go up some stairs, but instead of going up the stairs following Chopper, Nami, and Sanji somehow Zoro went the wrong way. And then he blames Nami for not explaining things well. Come on Zoro the stairs was in front of you, in fact, all you needed to do was follow Chopper and Nami. How can you get lost in that situation?! EPISODE: 174 - The Vanished City! The Magnificent Ruins of Shandora!! Starting from the Sacrificial Altar the group of Chopper, Luffy, Robin, and Zoro needed to go directly SOUTH to reach the ruins of the ancient city. 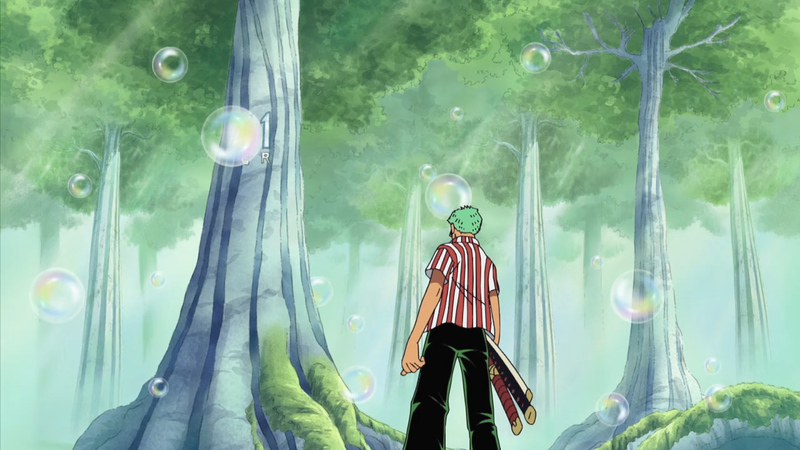 After being attacked by a giant snake, they all got separated, and to no surprise, Zoro got hopelessly lost. 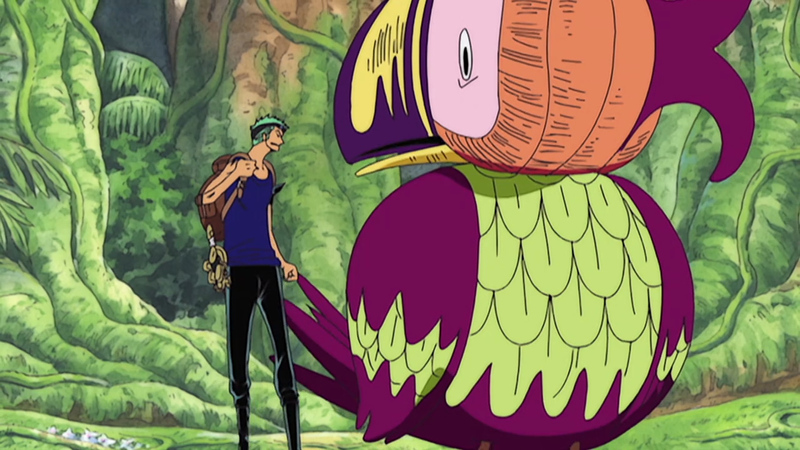 After a little while wandering around, a South Bird meets with Zoro and start following him to get food. 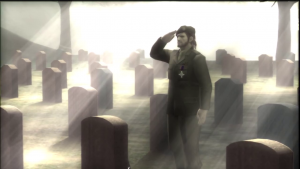 Do you remember the direction they were supposed to go? Yes, south! 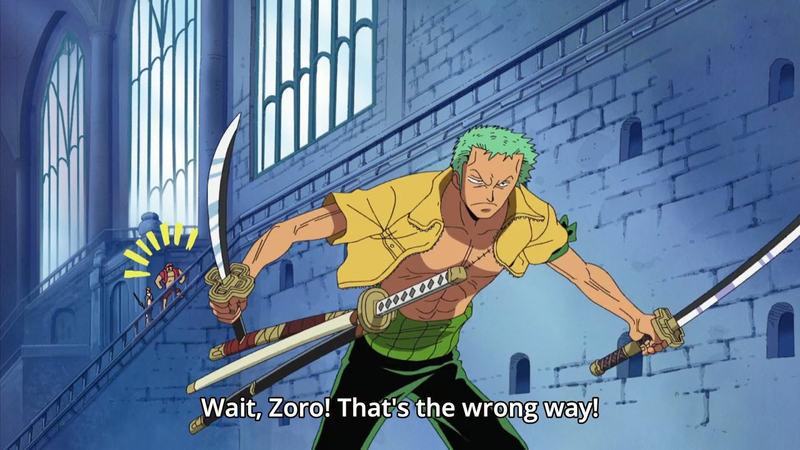 For the love of God Zoro, you have a South Bird with you all you need to do is follow the direction his head is pointing. 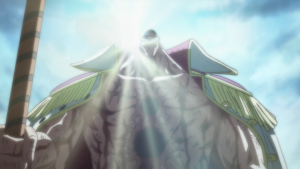 Episode 348 - Coming from the Sky! That Man is the "Humming" Swordsman! 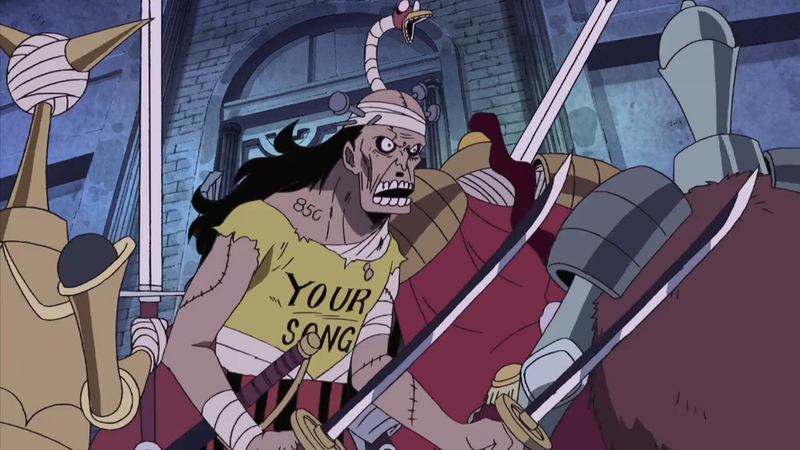 At Thriller Bark Zoro shadow got stolen and was transferred to a zombie. Zoro zombie, along with a group of other zombies, fell down the breezeway that Franky destroys. Now this group of zombies needs to get back into the fight by going through a door. Instead of going through the door Zoro shadow runs the opposite way. Honestly, if even his shadow gets lost, then Zoro is a lost cause. These are my five favorite times Zoro had gotten lost. I'm sure there are others so be sure to point them out in the comments.